On every iSCSI portgroup, put 1 vmnic as active, the other as unused (standby didn’t work for me). When config is complete, don’t forget to set a path selection policy on your datastores. Underlying blog post is wrong. I wasn’t fully up to date with the technologies. I would like to remove the post, but will keep it here to prevent others from making the same mistake. I was enlightened by a very experienced network engineer. He explained to me how teaming/bonding/trunking works on the Layer2 and Layer3 level. On the L2 level it boils down to communication between 2 MAC addresses. You can easily trunk between 2 switches because each switch has 1 MAC address. It becomes more difficult when you want to trunk between a switch and multiple NIC’s (e.g. an ESX(i) server). Because every NIC has it’s own MAC address, the L2 type of trunking, won’t work any more. This is where the virtual switch come in to the picture. The physical NIC’s of the ESX(i) host (vmnic’s) are connected to the vSwitch. Then you set the vSwitch to do the ‘trunking’ (Load balancing policy IP Hash). Now, on the physical switch, you need no configuration. For the same reasons you cannot connect a bond to 2 separate switches. A bond pairs 2 or more NIC’s on the OS level. On the switch level you’ll have to create a trunk/aggregation link, hence this will never work with 2 separate switches. The obvious solution to this is to stack your switches (SMLT), thus making it 1 logical switch (with 1 MAC address). I want to note that you can do LACP trunking with some blade enclosures. They have a build-in switch, thus giving it one MAC address externally. On the inside of the blade enclosure, some type of bonding is done. Don’t use LACP. No link-aggregation mode dynamic. Set the pvid vlan to the management VLAN. to set the policy again. vim-cmd hostsvc/net/portgroup_set --nicteaming-policy=loadbalance_ip vSwitch0 "Management Network"
to set the policy on the Management Network port group. First set all needed config to the switch port, then apply the aggregation config. So add the command ” port link-aggregation group <group number>” as the final command to all ports. For me, these 2 vim-cmd commands were needed to get things working. That was probably because I was troubleshooting and used a lot of config settings so that might have confused the vSwitch in some way. The commands come from this KB article. Do you know which server hosts your KMS? By default it’s the first Windows 2008 Server server that you introduced into your domain infrastructure. But do you know which server that was? 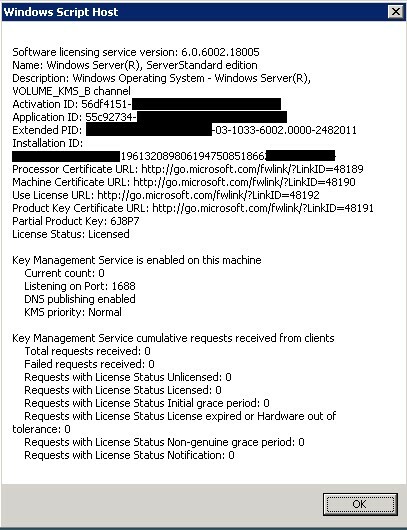 Because of the confusion that existed when Microsoft introduced their KMS licensing, you probably have no problem activating your Windows servers. Initially everybody just used their KMS key as a VLK and put it on every server making every server a KMS host in the process. It’s now been 3 years since the system was introduced, so I presume you admins all got this part of you infra in order and you know the slmgr.vbs utility =) Otherwise, read this and this first. (DNS) Create a CNAME record named KMS and point it to your new KMS host. 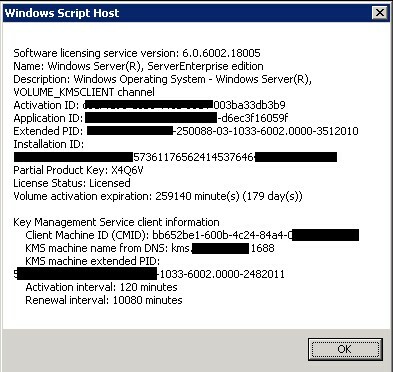 (NEW KMS) slmgr -ipk <YOUR KMS KEY> => Install KMS key. This will make this server the new KMS host. 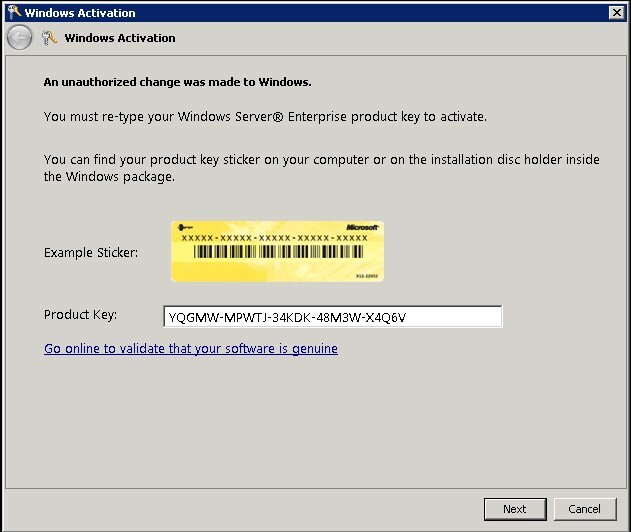 (NEW KMS) slmgr -ato => Activate Windows. This will activate the new KMS host. (NEW KMS) slmgr -sdns => Enable DNS publishing. 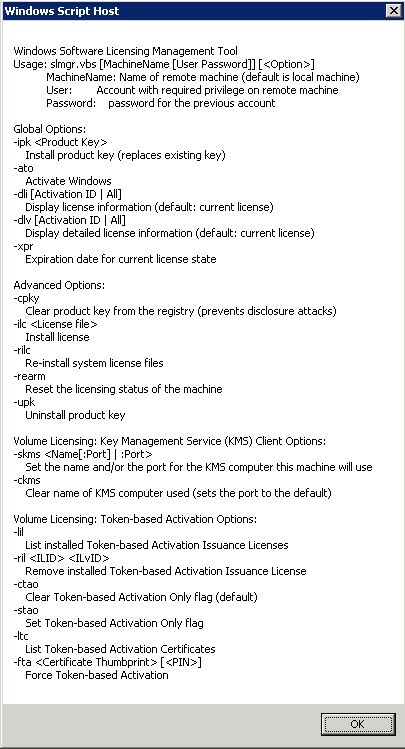 (NEW KMS) slmgr -dlv => Display license info. Check if everything is OK.
(NEW KMS) slmgr -xpr => Expiration date. The server should be permanently licensed. (OLD KMS) slmgr -ipk <KMS Client Key for this Windows Edition>. All keys are publicly available and can be found here. You might get an activation error when you rebooted. Just put in the correct KMS Client Product Key. (DNS) Check if a new SRV record named _VLMCS is created in DNS that points to you new KMS host. You can find it in <server name>\Forward Lookup Zones\<domain name>\_tcp\. Change the record to point to your CNAME record (kms.<your DNS Domain name>). Delete the SRV record that points to you old KMS host. To speed things up, do this on every DNS server manually. (OLD KMS) ipconfig/flushdns => Flush the local DNS cache. (OLD KMS) nbtstat -RR => Flush the local NETBIOS cache. (OLD KMS) slmgr -ato => Activate Windows. This will activate this Windows client against the new KMS host. (OLD KMS) slmgr -dlv => Review the license details. (OTHER WINDOWS SERVERS) repeat the previous 4 steps. When you receive an error 0xC004F038 saying ‘The returned count from your Key Management Service is insufficient’ you can find more info here. You’ll just have to activate more Windows servers against this KMS host and the error will resolve itself. A KMS hosts will not work for less then 5 servers to prevent ‘pirated’ use in home/lab networks. If you have servers that are not in your domain and you want to activate them, the SRV record in DNS might not be found. Use the command ‘slmgr -skms <kms server FQDN>:1688’ to force the KMS host address on that server.